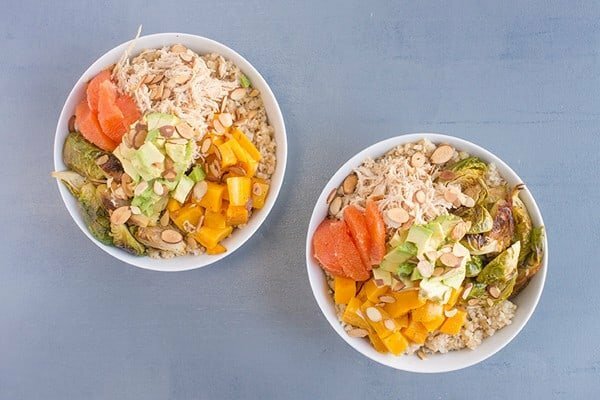 This protein-packed chicken and roasted veggie grain bowl is drizzled with a creamy tahini dressing and bursting with flavor. For the final installment of this week’s citrus-themed meal plan, I’m coming at you with something BIG! You might even say I saved the best for last. 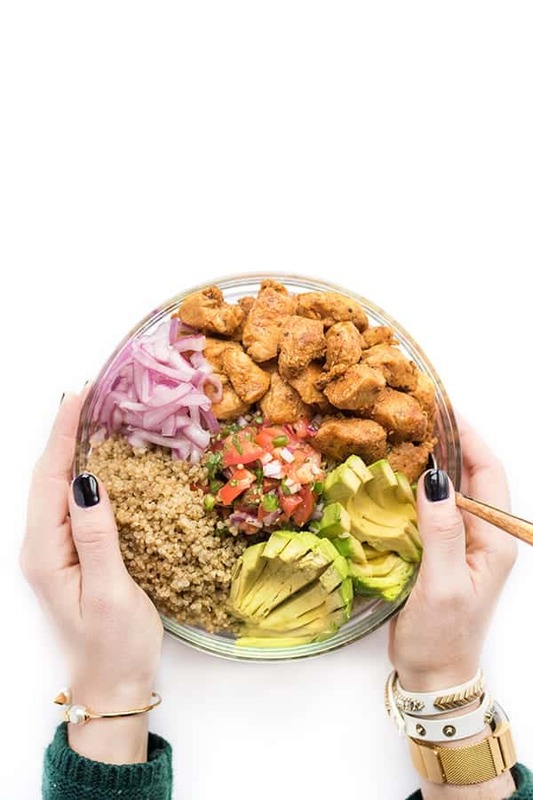 These nutrient-packed shredded chicken grain bowls are loaded high with all sorts of delicious ingredients, flavors and textures. For my base I used bulgur wheat but quinoa, freekeh, farro or even brown rice would work. Of course, grain bowl are all about the toppings so let’s get right to it. 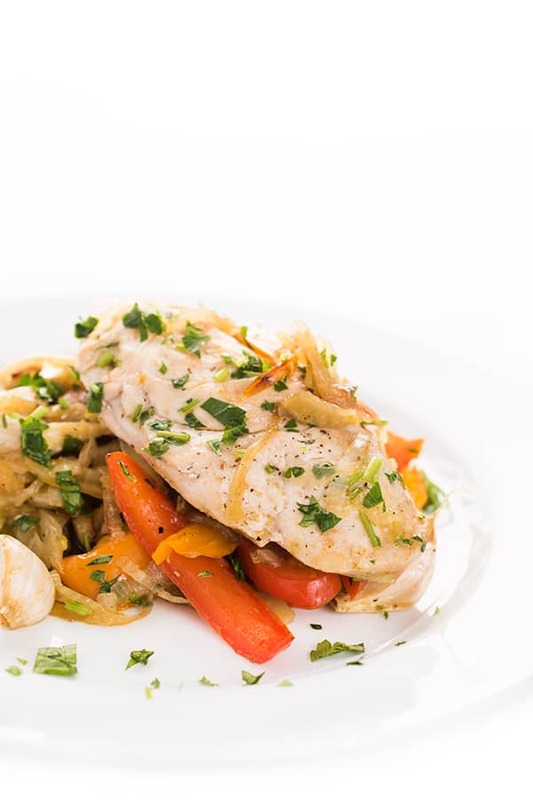 You’ll be using the last of the shredded chicken you batch-cooked earlier this week which can be served chilled or heated up. Next, we roast up some Brussels and butternut squash but feel free to use whatever vegetables you have on hand. For a crunchy texture I’ve thrown in toasted almond slices which pair perfectly with the juicy Cara Cara oranges and creamy ripe avocado chunks. Last but not least, the whole bowl is drizzled with an intoxicatingly delicious tahini-soy vinaigrette. You might want to make a little extra dressing for salads and dippings veggies in all week long. Or eating with a spoon…that works too. Pre-heat oven to 425 degrees and line a baking sheet with foil. Toss the quartered Brussels and cubed butternut squash with olive oil, salt and pepper then spread in even layer on baking sheet. Roast until tender, 16-18 minutes. 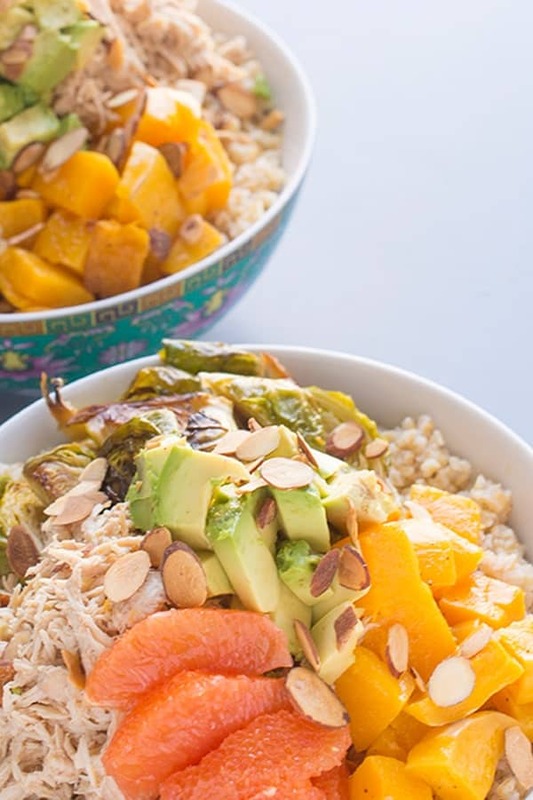 Begin assembling grain bowls by placing 1/2 cup bulgur wheat in each bowl along with 1/2 cup of the shredded chicken, 1/2 cup roasted veggies and equal parts of the avocado cubes, orange segments and sliced almonds. 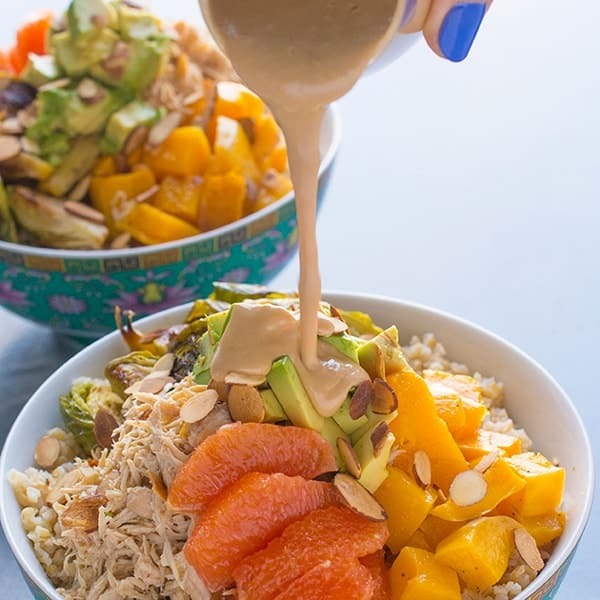 To make the Creamy Tahini Dressing whisk together all ingredients in a small bowl until smooth and creamy. Add a little more warm water if needed. Check for seasoning and adjust accordingly. Drizzle dressing on grain bowls to serve. 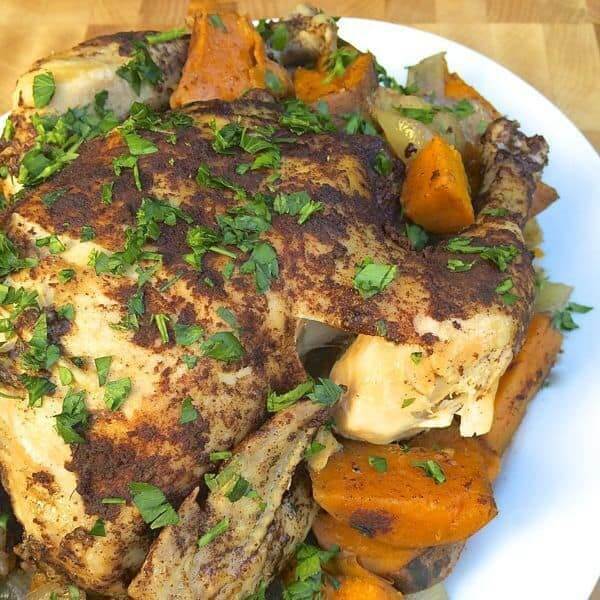 More Healthy and Easy Dinner Ideas are waiting for you on Pinterest! yum ive been obsessed with tahini recently….cant wait to try this dressing!! Oh I hope you love it!! 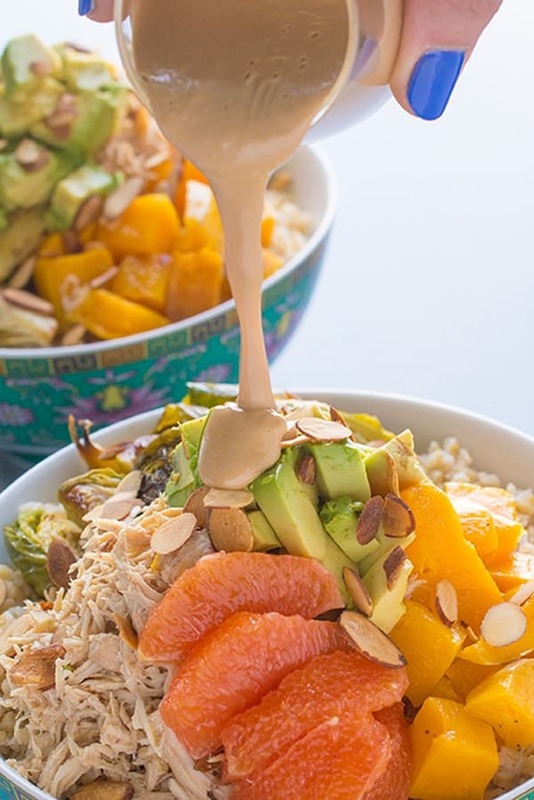 I really need to not be allergic to tahini b/c this grain bowl looks out of this world! Plus I love the addition of bright fresh citrus….yum! Oh man allergic to tahini!?!?! Omg. That means no hummus? I’m so sorry. Grain bowls are THE best! 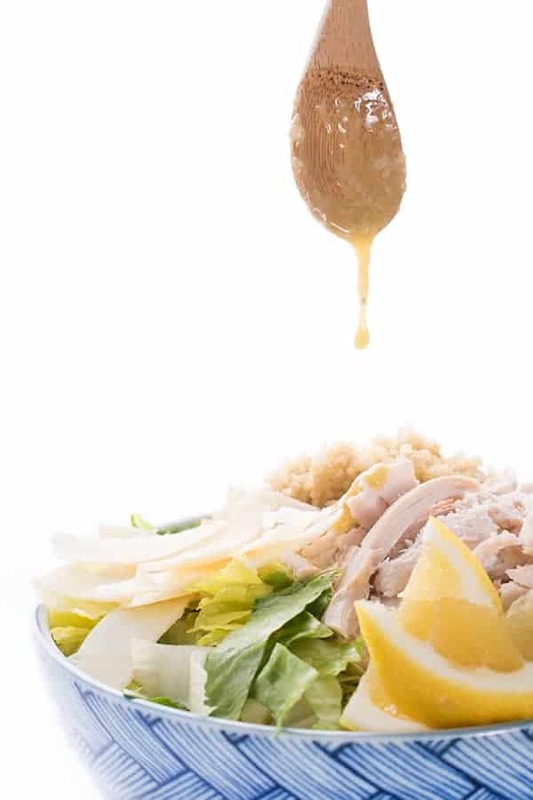 Loving this tahini dressing with the citrus, bet that’s a great pairing. You would love this bowl girl. And that tahini dressing is the bomb! 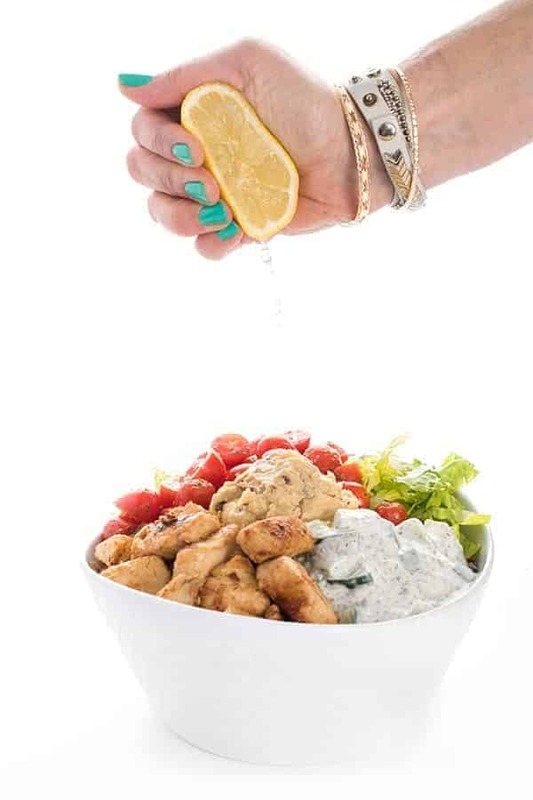 I’m loving that tahini dressing with the citrus and chicken! So healthy and delicious! It was so good Lori – super fresh and flavorful! We just finished having a somewhat variation of this since I used what I had in the fridge. Make the Asian inspired turkey thighs in the crockpot as per above, so good and lots of leftovers for during the week and the freezer. My bowl consisted of the turkey, brown rice, roasted yams and broccoli, shredded carrots and purple cabbage and avocado. Of course topped with this amazing tahini sauce of yours. What a hit Liz!! Thank you for your dedication and great ideas. I will keep an eye for the Cara Cara(dear dear in Italian) ..???????? Oh your bowl sounds amazing!!! Thank you so much for your sweet words – I’m so glad you were pleased!! Let me know what other recipes you try!! These are GORGEOUS and I’ve been looking for a great tahini dressing recipe! Also, I LOVE Sunkist! Let me know if you try it – I think you’ll love it!! Oh my gosh this is heaven in a bowl!!! I’m embarrassed to admit I still haven’t made tahini dressing or sauce like I promised last year. There is something wrong with me!! This looks incredible. Omg you should make it!!! I also love tahini + mayo for dipping sweet potato fries. SO good!!!! Liz, this looks fantastic – the colors are incredible, so I know it must taste delicious! You’ve got me wanting this for breakfast. I’ve never heard of Cara Cara oranges, but you can bet I’ll be searching for them now. Thanks for the recipe! They are really my favorite right now – I hope you can find Cara Caras! !